Guitar Center is well known across the nation for its extensive range of musical instruments for sale. Guitar Center Hollywood offers them all. The store itself is a landmark destination for Los Angeles musicians. GC Hollywood caters to professional musicians, and beginners. You’ll also find collectors, and major studios shopping for the best musical gear. Lessons, rentals and repairs are available on site. Guitar and recording workshops are a regular occurrence, and our tech department has recently benefited from many facility upgrades. When you need a break from browsing the extensive line of instruments and equipment, stroll through the Rock Walk inductions. You’ll find the hand prints of over 400 immortalized musicians ranging from Les Paul and Eddie Van Halen to Billy Gibbons and The Cure. As for special events, there's always something happening, including concerts by top-recording artists. You’ll also recognize it as the setting of the award-winning Guitar Center Sessions DIRECTV show that features many famous musicians. Our private lessons in guitar, bass, keyboards, and drums are available in 30 and 60-minute sessions with flexible scheduling, so you can progress at your own pace. Maybe you'd rather be the instrument - in that case, come learn more about our singing lessons. And those are only scratching the surface of the unique services at Guitar Center Lessons in Hollywood, which also include jam sessions, recording lessons, group lessons and more. Want to know what it's like to be in a band? Ask us about our Rock Show program, which connects you with other musicians at your skill level to get the full experience. Guitar Center Hollywood provides comprehensive guitar repair services for the Hollywood area. Our repair technicians are as passionate about your guitars and basses as you are, and we have the experience needed to keep them performing at their best. Whether you need a quick adjustment to make your guitar easier to play, or a complete guitar rebuild, we have the tools and know-how to take care of your instrument. Guitar Center Hollywood can also help build a maintenance plan that fits you and your guitar or bass needs, including custom setups, restrings and more. We also take care of fret repairs, hardware and pickup installations, upgrades and customizations, bone and graphite services and more. It all started right here. Guitar Center's first and flagship location, GC Hollywood set the bar for what a music store should offer when we opened our doors on Sunset Boulevard back in 1985. 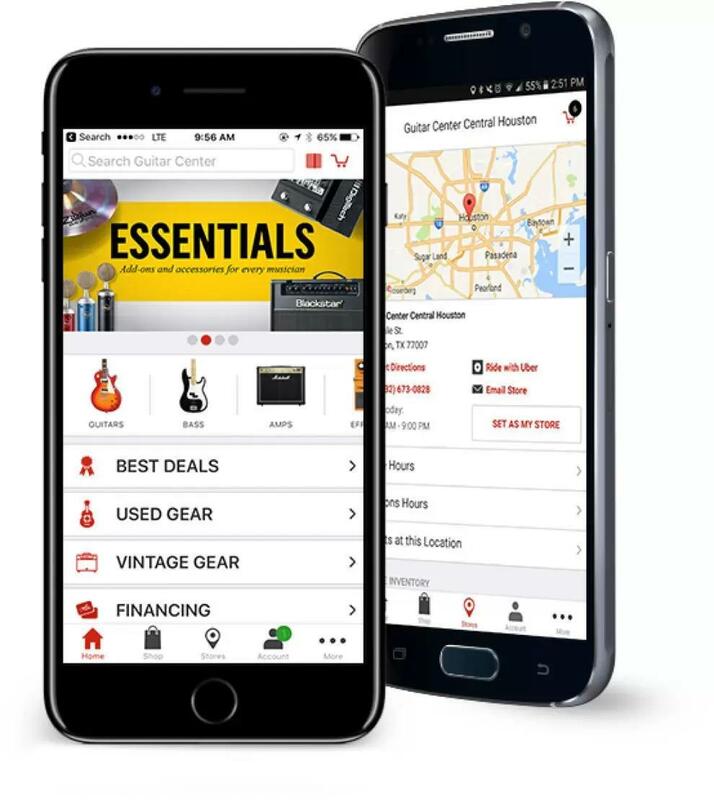 In fact, our location is one of the largest music stores on the planet, and our seemingly endless selection of new and used gear includes all of the biggest brand names. Regardless of your taste, age, or skill level, everyone gets treated like a rock star at Guitar Center Hollywood.From vintage masterpieces to debuts of the latest equipment and instruments to hit the market, there's a reason why Guitar Center Hollywood is world-renowned, and also why musicians come from around the world to specifically visit our store. Simply put, if you play an instrument, you owe it to yourself to visit Guitar Center Hollywood at least once in your lifetime. Please stop by any day of the week if you're in the area. Guitar Center Lessons West L.A.